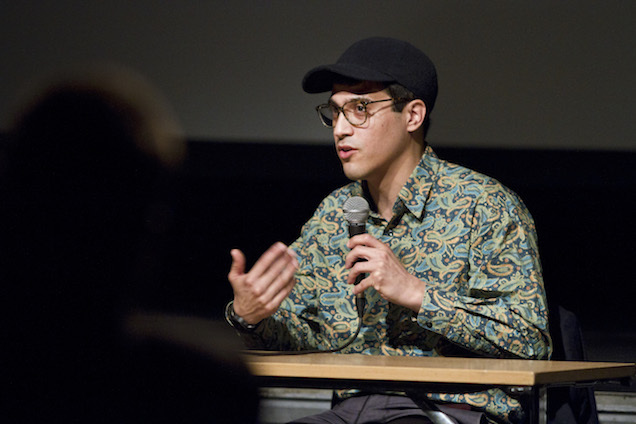 Lior Shamriz is a film director, visual artist, and musician. His films are essayistic narrations that utilize cinema as performance and the cinematic languages as a process of reflexive documentation. Through his cinema, multi-screens installation, music and participatory performance, he explores and question ideas about society, being and the body (as the “I-Object”). Shamriz presented his films at numerous festivals including Berlinale, Locarno, Sarajevo, MoMA’s ND/NF, BAFICI, Frameline, MixNYC, Torino and venues such as Washington DC National Gallery, Walker Art Center, and Lincoln Center New York. He’s the winner of multiple awards at Oberhausen, was nominated for the Max Ophüls Prize, and shortlisted for the German National Gallery Prize for Young Art Film. He received retrospectives at the Thessaloniki Intl FF and Ars independent Katowice. He was an Artist-in-Residency at the Taipei Artist Village, Vermont Studio Center, Seoul Museum of Arts Nanji, Geumcheon Seoul Art Space and PAM Residencies Los Angeles, where he led film/performance workshops and curated programming. Born in Ashkelon, Israel, he dropped out of the army at nineteen and moved to Tel Aviv, where he began making films and experimenting with computer-generated music and collective art publications. After living a decade in Berlin, he is now based in California.